NO, NO, NO, NO, NO… YES, YES, YES, YES, YES… Depending on which team you’ll be rooting for on Super bowl Sunday, those two words may be the only thing coming out of your mouth. But judging by the usual Super bowl Sunday menu items, the food entering your mouth is what you should be saying “No” or “Yes” to. When did Super bowl Sunday become a holiday? It feels like people are cooking and ordering more food on this day then they would on Christmas or even Thanksgiving. Yes, the Super bowl received 106.5 million viewers last year, but we can give you 106.5 million reasons why you should avoid eating 13 Buffalo wings, 6 slices of pizza, 3 hamburgers, 2 bags of chips and drinking half a case of beer. Well, maybe not 106.5 million reasons but, we’ve found some really great recipes for your Super Bowl party! We munch and crunch our way through the game.. But, are the French fries, wings, soda/beers really worth it when your team is finally at the end zone? Swap your greasy snacks to make sure you’re always WINNING! 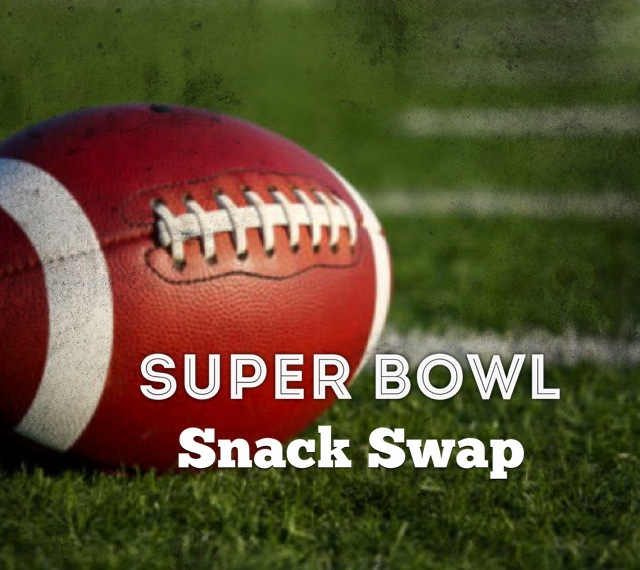 Check out the link to SNACK BETTER: Healthy Super Bowl Snack Swaps! If not for the two teams and a year worth of gloating, or the possible wardrobe malfunctions during the halftime show, or the Super Bowl commercials (Full House Reunion? Have Mercy!) it’s for the snacks. We munch and crunch our way through the game.. But, are the french fries, wings, soda/beers really worth it when your team is finally at the end zone? We’ve found some really great recipes for your Super Bowl party or your at home tail-gating event! Don’t PACK on the Pounds! 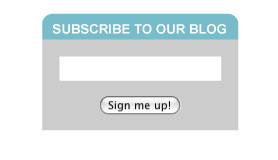 STEEL this idea! NO, NO, NO, NO, NO… YES, YES, YES, YES, YES… Depending on which team you’ll be rooting for on Superbowl Sunday, those two words may be the only thing coming out of your mouth. But judging by the usual Superbowl Sunday menu item, the food entering your mouth is what you should be saying “No” or “Yes” to. When did Superbowl Sunday become a holiday? It feels like people are cooking and ordering more food on this day then they would on Christmas or even Thanksgiving. Yes, the Superbowl received 106.5 million viewers last year, but we can give you 106.5 million reasons why you should avoid eating 13 Buffalo wings, 6 slices of pizza, 3 hamburgers, 2 bags of chips and drinking half a case of beer. Well maybe not 106.5 million reasons but, we can give you 5 healthy and tasty dishes you can use to replace that recipe for your diet disaster. Plain slice- 290 calories and 10g of fat. Pepperoni slice- 340 calories and 12g of fat. Five Buffalo wings dipped in blue cheese- 600 calories and over 40g of fat. A bacon cheeseburger- 737 calories and 47.3g of fat. Chips (1 serving)- 160 calories and 11g of fat. Nachos w/ cheese (40 chips)- 1,100 calories and 59g of fat. 12 oz. beer- 145 calories and 10.6g of carbs. A 12 oz of soda- 140 calories and 39g of carbs. This salad contains 340 calories and 10g of fat. Chicken tenders- 280 calories and 8g of fat. Turkey Burger w/ whole wheat buns- 250 calories and 8g of fat. Baked chips (1 serving) – 110 calories and 3g of fat. Guacamole dip-50 calories and 4g of fat. Water contains 0 calories. Diet Coke-0 calories and 40mg of sodium. 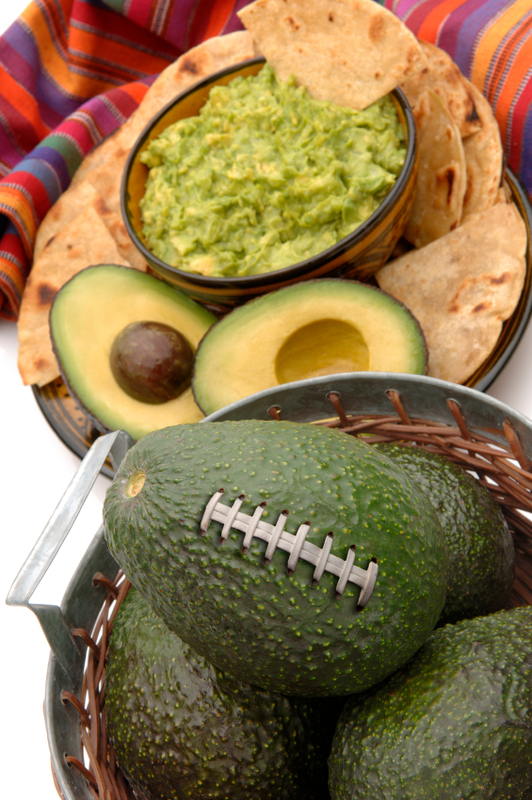 Instead of feeling bloated and 10 pounds heavier, eat light and you’ll feel light while doing your end-zone dance to a Superbowl victory. If the team you’re rooting for wins… GOODLUCK!